Unified helps marketers make informed and impactful decisions with the industry’s only business intelligence platform purposely designed for social advertising. Their strong strategic thinking played a heavy part into the success of our account. In addition, the Unified team is extremely personable which made all of the hard work seem easy. Nothing to write about! I only have good things to speak to from my experience. For our client, we were looking to have a strategic presence across social and drive both awareness campaigns as well as DR initiatives. In planning stages, they provided strategic thinking - hitting on all points of the brief. When the campaigns were active, they also continually provided valuable insights that lead to better performance. "Useful Depending on What For"
Unified's pacing dashboard is a helpful visual for seeing how campaigns are pacing. However, it's only currently available for Facebook and Twitter, so we still have to use other tools for our other social media. It's only currently available for Facebook, Instagram, and Twitter so it's not an all-encompassing solution for campaign pacing and monitoring. It is not a solution if you're looking for something that works across all social efforts. Monitoring pacing and enhanced optimization options between audiences. It's supposed to be useful for reporting as well, but we have not really found a use for that capability. Also its Audience Insights capability seems to just reflect what's available in the native platform for Facebook. Thank you for your comment - we appreciate your feedback! Unified continuously evaluates our social media partner relationships, and we strive to provide customers with the most comprehensive solutions for social media advertising. We recently expanded our platform to include data from Snapchat, Pinterest, and Youtube, and are currently working to expand to LinkedIn. As the social media advertising landscape continues to evolve, we are committed to evolving our offerings to meet our customers’ needs. Please feel free to reach out to g2reviews@unified.com with any further questions, comments, or concerns! If you use this across multiple social platforms helps to consolidate reporting and pull some information that may not be exportable via other platforms (creative copy etc). Dashboard is not intuitive. Not having total confidence in campaign set up as it's handled by a different team. Allows our teams to focus on other sides of the business. I prefer using unified as its very easy to connect to wifi just by automatic server connection. The only thing that makes me dislike unifief is that it is very expensive for connection. Unified is the best communication platform. Make changes now. It has made me easy communicating with workers from other offices and businesses. "Might be good for agencies, not as useful for brands "
Helps you get a handle on ad spend if you are walking in the door into a new role. Not sure the long-term value is there and there are (significantly) less expensive providers that do the same, if not more. Maybe good for agencies or huge brands, but not for medium-sized brands. Tracking down social media ads and channels, understand if performance was worth the spend. "Optimizer is a game changer, and great to have reporting all in one place"
"Great for starting entrepreneurs "
The best part about the platform is that it allows all authentic social data across key channels into one consolidated platform. It is still a challenge to digest and activate on the types of content optimizations that are needed. While performance is clear, and data is delivered quickly, there is still a challenge to internalize the insights. Overall content management across clients. I like how they display their data in a visual way. I don't like that it lacks some metrics that I am looking for. Also, it took a while to learn how to use it comfortably. Trying to measure effectiveness of social media postings. The benefits are having a centralized location to do so. * We monitor all Unified reviews to prevent fraudulent reviews and keep review quality high. We do not post reviews by company employees or direct competitors. Validated reviews require the user to submit a screenshot of the product containing their user ID, in order to verify a user is an actual user of the product. Hi there! 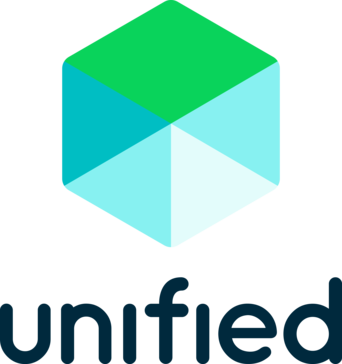 Are you looking to implement a solution like Unified?